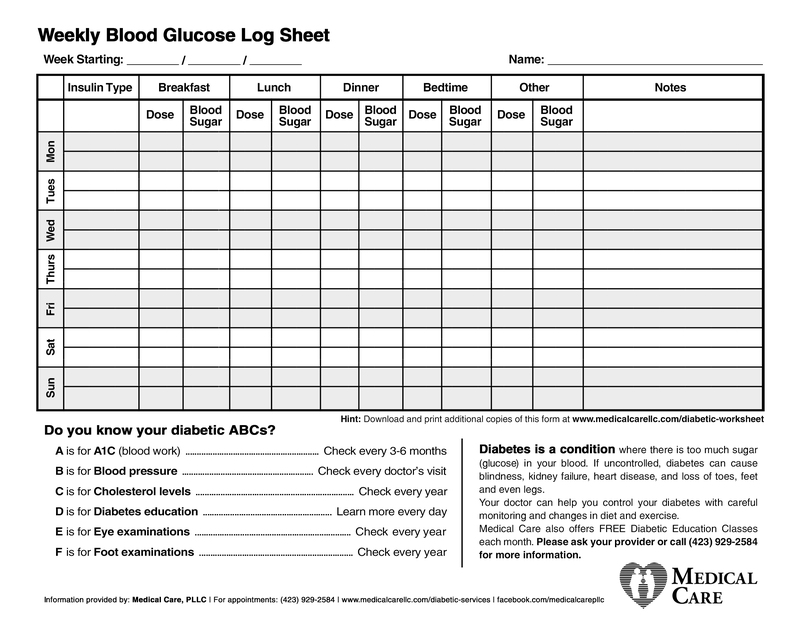 Medical Care PLLC is pleased to offer this FREE Weekly Blood Glucose Log Sheet. Please save and print this page to help keep track of your blood sugar levels each week. Remember: your doctor can help you control your diabetes with careful monitoring and changes in diet and exercise. For more information, or to learn more about our FREE Diabetic Education Classes, please talk to your healthcare provider or call Medical Care PLLC at (423) 929-2584. Get Your FLU SHOT at Medical Care! Flu Season is here, and Medical Care wants you to be ready for it! Beginning September 15th, 2014, Medical Care will be offering Flu Shots at all 3 of our locations across Upper East Tennessee. If you want a fighting chance against the flu this season, Medical Care recommends that you get an annual flu shot. The good news is that flu shot side effects are minor, and shouldn’t be a concern if you’re looking to get a flu shot vaccine. If you have no specific conditions or allergies to the flu shot, anyone over the age of 6 months can receive the flu vaccine. Because it takes about 2 weeks for the flu vaccine to take effect, it’s best to get your flu shot early in the season. For more information, please call (423)929-2584 to speak with one of our friendly representatives, or visit us on Facebook!